In answer to Cebu Pacific's Piso Fare, Airphilexpress is having a seat sale of their own. Personally, I believe that theirs is cheaper (if calculated with its real and final price). Plus, their website does not take forever to load nor to book at which CebuPac obviously has been struggling every freakin' time. I'm pretty sure that the same number of people access their respective websites. And no, they didn't pay me to write this (how I wish). It's based on experience and mere observation too. 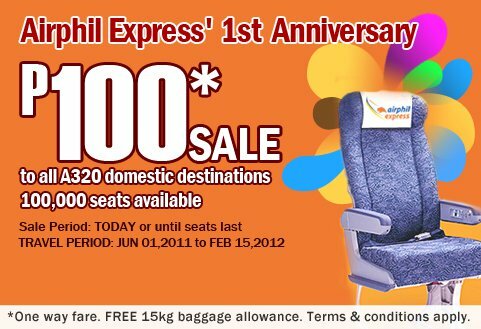 Go book now at Airphilexpress!